There are a lot of films that with age bring new meaning to your life. When you first see them, they appeal to one aspect of your personality but as you age you can see new and different things about them. It’s an interesting thing and one that can change the overall appeal of a film and add different dimensions to the experience. One of those films is American Psycho, which is out on 4K Ultra High Definition Blu-ray this week. The film is a journey into the primal American psyche and the darkness that rests inside of us. 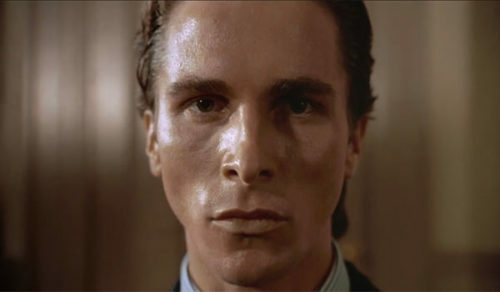 Patrick Bateman (Christian Bale) is the pinnacle of a successful businessman. He’s a Vice President on Wall Street, he’s engaged, and hits the top restaurants and clubs. He has a fetish for business cards and has a regimented workout plan with a perfectly chiseled body. What Patrick is hiding his penchant for murder and bloodshed. It’s an internal struggle that is like a psychotic fantasy that ends up in Patrick brutally murdering people to the beat of popular songs. Suffice it to say, I’ll never listen to Hip to Be Square by Huey Lewis and the News the same way again. Eventually the murders catch the eye of a P.I. (Willem Dafoe) even though this fact doesn’t seem to phase Patrick and he continues on his murder spree, until something happens that causes Patrick to sweat. 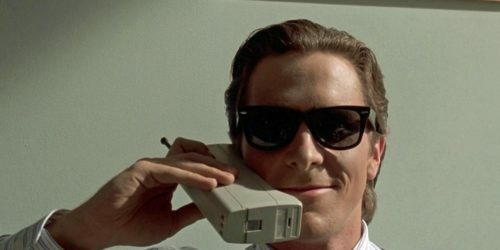 American Psycho is a fascinating look at America and its obsession with greed, success, status and clearly vanity. It’s such a unique film and one of the most powerful of Bret Easton Ellis’ work. 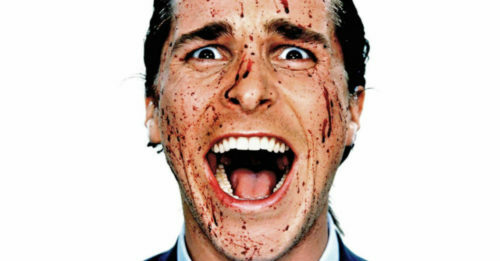 Patrick Bateman has to be the top dog or he’ll pretty much take you out, literally and figuratively. Judging the film by today’s standards it’s even more revealing. How the country is not and the division and the people in power’s hunger for power and keeping the majority no matter what the cost. Looking at it through a modern lens, you can really see the levels of the film and more of the bi-product of having the Patrick Bateman mentality. 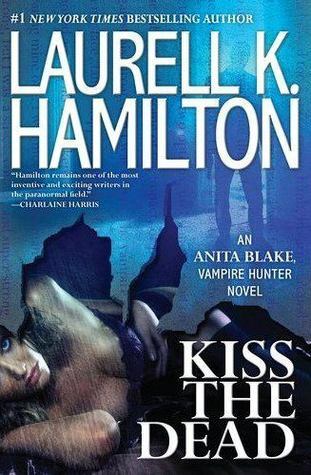 It’s fascinating as a character study through a modern lens. American Psycho arrives on 4K Ultra High Definition, which I was really excited about. 4K UHD is one of my favorite formats. The picture quality is amazingly clear. Here, the picture quality is so detailed, I was floored seeing American Psycho this way. It was like watching the film for the first time. Especially with this film, there was so much detail and so many little things that one doesn’t catch with a regular viewing. The blacks are deep and solid and the rest of the colors are distinct. This viewing I saw so much more in terms of a color palette for the film that I didn’t catch before. The film seemed more muted in color, at least that’s the way I remembered it. Here those colors add a lot to the film. 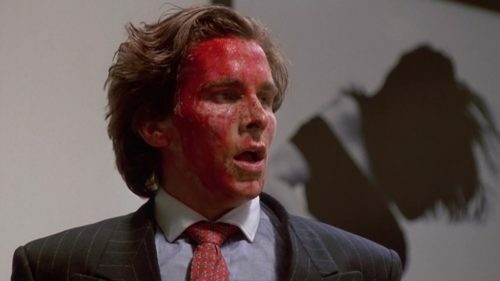 Overall, American Psycho is one of my favorite films, it’s one of those movies that continue to reveal itself and changes it’s focus with every viewing. It’s rare to find a film like that. The UHD 4K transfer is a much deserved upgrade as well. I couldn’t recommend this film more. American Psycho 4K Ultra High Definition Blu-ray Is out this week! 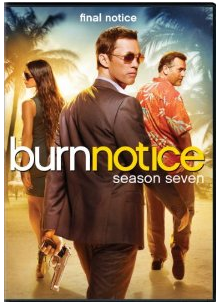 Burn Notice Season 7 DVD Review! Join Michael Westen On His Final Notice Out Now!